Here is a report from my LIVE show. Tonight was All Hallows Eve, or Halloween as we say in the States. So when I was asked in an email what to do about the Halloween Gambit as Black, I couldn’t resist starting the show with it. It begins with the outrageous sacrifice 1e4 e5 2 Nf3 Nc6 3 Nc3 Nf6 4 Nxe5!?. This explains why the top players shy away from the gambit completely; but it’s worth pointing out that in a Blitz Game (or 1-minute game), this might be quite fun for a prepared player of White to take a chance with. You can download the annotated game HERE. We had some distinguished guests this week in IM Elliott Winslow and NM John Tomas. Elliott tossed in comments and opinions about nearly every topic! I had fallen considerably behind on responding to emails and chat questions from previous weeks, so most of this show was devoted to addressing previous questions rather than getting directly caught up in the chat (in which there were some lively conversations!). In response to a previous chat question about Greco, I showed a funny Greco endgame study from 1623(!). 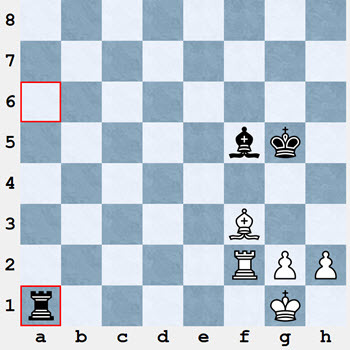 It illustrates how the wrong-colored rook pawn draws in a bishop-and-pawn ending. 1...Ra1+ 2.Rf1 Rxf1+ 3.Kf1 Bh3!! Someone on the live chat asked about how to improve at a club player level, and I gave my usual rather lame reply about disciplined study, practice, and being careful to check each move for both opportunities and blunders. In fact, there’s no easy answer and this primarily takes a lot of practice and study. And, of course, watch my live shows! Next we took a look at some analysis sent to me by email. 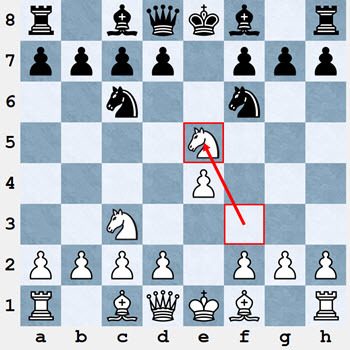 It involved the French Defense Milner-Barry Gambit, in particular a line in which Black grabs two pawns and tries to defend against White’s pieces. It’s a good try, but if White plays very accurately (which he hasn’t done in practice), I think the attack is too strong. The viewer game of the week was one in which our regular Jonathan Russell, overcoming a 1250-point gap, defeated Grandmaster David Smerdon in a Banter Blitz game. Great fun. Can I now advertise that watching my show ‘improves your rating’? 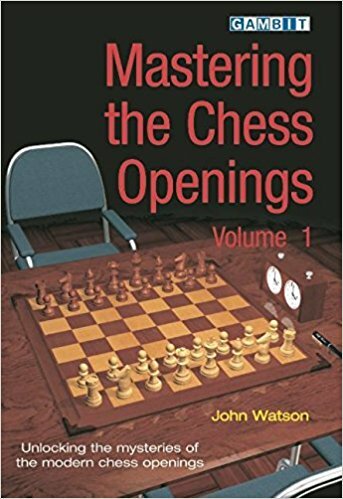 On the question of what the best books are on opening theory in general (not on specific openings, that is), I modestly mentioned my own Mastering the Chess Openings series and couldn’t think of any others! Seriously, I’ll make up for that next week, but it is true that there are few non-specific books, and the standard way to study openings is to concentrate on one at a time. The last extended discussion had to with the move Nf2 in the Mar del Plata line of the King’s Indian Defense. Elliott Winslow and Faustus traded opinions while I expressed my skepticism about the move’s value, but it’s certainly not a settled question. Everyone agreed that the engines overvalue White’s position in this mainline. Send questions, games, and opinions to AsktheMaster@chessclub.com !